The Co152 Quartino Chronograph by Cover appeals through its contemporary design and sporting appearance. 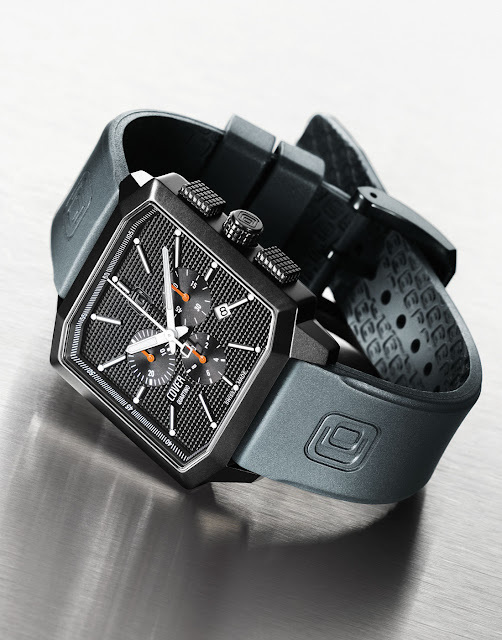 A minimalist timepiece with an original octagonal-shaped case and a streamlined dial bearing a “Clous de Paris” hobnail motif, this all-black chronograph sets the pace with the bright orange hands of its 1/10th of a second, small seconds and 30-minute counters. Keen to provide brand aficionados with a broad choice, Cover offers several interpretations in a variety of colours and materials.